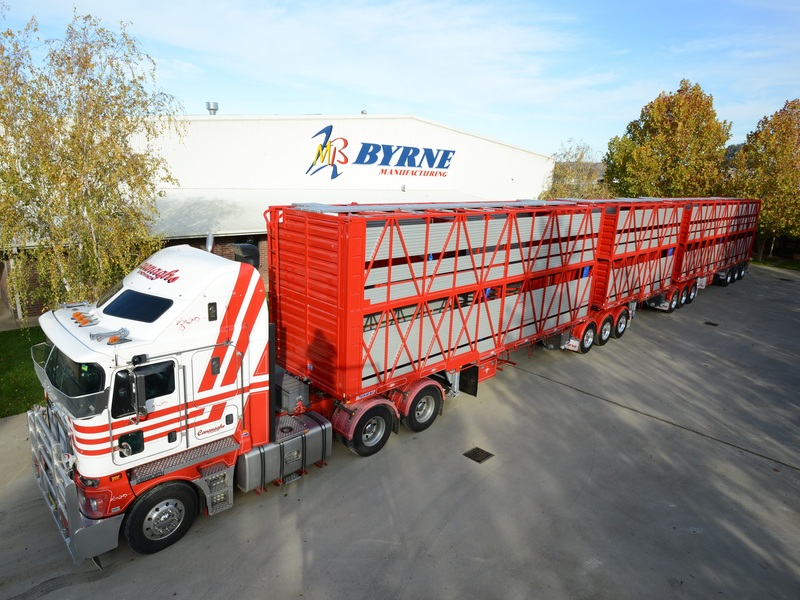 Byrne Trailers are once again exhibiting at the 2019 Brisbane Truck Show. The BYRNE exhibit is located in HALL1- Stand 48 – Alongside Maxitrans. Our exhibits include STAINLESS STEEL Livestock Trailers, and the newly designed Flat- sided Full Aluminium Walking Floor Trailers. Prime Minister Morrison has called the Federal Election for Saturday, 18 May 2019. To obtain an absolute majority (and govern without relying on the support of cross-bench members), a party must win 76 seats in the House of Representatives. Going into the election, the Coalition has 74 and Labor 69. The balance of seats are held by minor parties and independents. One new seat has been created in the ACT since the last election bringing the total to 151 seats. Newspoll currently has Labor ahead of the Coalition 52-48 on a two-party preferred basis. However, polls are not always an accurate predictor of the result. In fact, the latest poll indicates just a 1 percent swing to Labor since the last election. Can Labor pick up 7 seats on a one percent uniform swing? Will the cross-bench ultimately decide which major party has support to form a minority government? This is very difficult to predict! Elections are of course fought at the local level on a seat-by-seat basis. It is possible for a party to win a majority of seats without gaining a majority of votes. The likely result becomes even less clear once preference deals are factored in – not to mention the fact that the proportion of ‘undecided’ voters is even larger than the statistical margin between the major parties. So, all in all, it looks to be another tight race! Get ready to be inundated by campaign messages – because here they come! $4.5bn for Roads of Strategic Importance. Establishment of a National Office of Road Safety. A new ‘Keys2drive’ program for learner drivers. A new National Freight Data Hub. $8m for the NHVR to work with local governments to improve road access. Reducing the 32.5% marginal tax rate to 30% (2024-25). Increased tax off-set for low and middle income earners. Increased enforcement for tax avoidance and sham contracting. Superannuation concessions for Australians aged 65 and 66. ALRTA was particularly pleased that an additional $1bn was committed to the Roads of Strategic Importance Program, bringing the total to $4.5bn. This program will invest in key freight corridors to more efficiently connect agricultural and mining regions to domestic and international markets. The increased commitment is in line with the ALRTA’s call for a $1bn injection into regional freight corridors in our 2017 submission to the Inquiry into National Freight and Supply Chain Priorities. For more detailed information on the Coalition’s infrastructure program, including a state by state breakdown, click here. As expected, vegan activists held simultaneous protests at several sites around Australia on Monday this week. All of the protests were designed to cause maximum distress and disruption for the livestock supply chain and the general public. chained themselves to vans to block a busy intersection in Melbourne’s CBD. trespassed at abattoirs at Warwick (QLD), Goulburn (NSW) and Laverton, Geelong, Bacchus Marsh, Packenham (VIC) – in some cases dangerously chaining themselves to machinery or blocking entry or exit points. confronted a dairy farmer, ‘rescuing’ animals by letting them loose onto the road. Prior to these events, Federal and State governments warned of severe penalties and that these may be increased. Police and industry bodies issued advice to assist affected parties to rationally and legally deal with the protestors. Across Australia, around 50 protestors were arrested and their actions widely condemned as illegal and un-Australian. Prime Minister Morrison has offered Commonwealth financial support to farmers willing to pursue legal test cases against the protestors. Attorney-General Porter has asked for a review of privacy laws to punish organisations that publish maps of livestock supply chain locations. To their credit, livestock producers, processors and transporters responded reasonably in the face of extremism that borders on social and economic terrorism. While all of this is obviously distressing to those directly involved and others associated with the livestock industry, we can all take heart from the unprecedented public backlash against the vegan protesters. Mainstream Australia clearly does not support militant vegans and this was evident in the relatively small number of vegan protestors (even when considered on a nation-wide scale) and the many thousands of anti-vegan social media posts/memes that immediately followed. To put things in perspective, 100 vegan protestors is a far cry from the 100,000 people who marched peacefully in the ‘Change the Rules’ protest about workplace relations in Melbourne later the very same week. Considering that 100,000 people caused less traffic and business disruption than 100 vegans, it is easy to see why militant vegans remain few in number and widely despised. If social media is anything to go by, meat consumption may have actually increased across Melbourne on the day of the vegan protest. There was no shortage of individuals who responded at lunchtime by intentionally switching to meat-based meals and posting pictures in support of the livestock industry. Illegal? Yes. Annoying? Yes. But with such overwhelming negativity directed at the vegans themselves these misguided souls are just undermining their own cause. ALRTA congratulates Frank and Georgie Marley (LRTAWA) and Kel Baxter (LBRCA) on being recognised as this year’s Kenworth Legends at Trucking Australia 2019. Photo: Frank and Georgie Marley and family. Photo: Kel Baxter and family. Mr Crouch was first elected as ATA Chair in 2017, and as the Director of Ron Crouch Transport has a deep understanding of the trucking industry both as an operator and at an association level. “I plan to continue the ATA’s existing engagement with all sides of politics and all industry stakeholders to ensure the voice of those we represent is heard loud and clear,” Mr Crouch said. “Additionally, I will follow through on our commitment to mental health and wellbeing. We have spoken about this issue for long enough. It is time to take real action,” he said. Mr Crouch said he also looks forward to ensuring the ATA continues to contribute to the Heavy Vehicle National Law review. “It goes without saying that this review is desperately needed to bring new thinking into how our industry should be regulated. “We are confident the result of this collaboration between industry, government and regulators will lead to positive outcomes,” he said. The meeting also saw the election of Julie Russell, director of Russell Transport, as a new board member. “I’m pleased to welcome Julie as a member of the ATA board. She has extensive experience as a member of the industry, as President of the Queensland Trucking Association and a TruckSafe director,” Mr Crouch said. Over the years, Ms Russell has actively worked on numerous committees and boards within the road transport industry and was named National Trucking Industry Woman of the Year in 2015. “As we welcome Julie to the board, we farewell longstanding retiring Director Tim Knowles, and thank him for his long service and great contribution to the ATA board,” Mr Crouch said. “I am also pleased to welcome returning directors Andy Divall, David Simon, Simon Skazlic and Geoff Luff, as well as Andrew Garrety, who was re-elected as Treasurer and Secretary,” he said. The ATA represents the 50,000 businesses and 200,000 people in the Australian trucking industry and announced the award winners in Perth last Friday at the Trucking Australia 2019 Foundation Sponsors Awards Gala Dinner. “The Gala Dinner and National Trucking Industry Awards are not only a highlight of the Trucking Australia conference, but the whole year,” ATA Chair Geoff Crouch said today. “These prestigious awards recognise those who have demonstrated exceptional dedication to the Australian trucking industry through their hard work and commitment. “It’s important to celebrate those who go the extra mile and inspire others,” he said. TruckSafe John Kelly Memorial Award – Nolan’s Interstate Transport. “This year we received an unprecedented number of award nominations, highlighting the high standard and calibre of those who represent the Australian trucking industry,” Mr Crouch said. “Our award recipients were extremely well-deserving, and I thank each winner for their contribution. “I would also like to extend thanks to our award judging panel, led by former ATA Chair Trevor Martyn OAM,” he said. Please be aware that New South Wales, Queensland, Victoria and Western Australia have travel restrictions in place over the Easter holiday period for agricultural, oversize/overmass and special purpose heavy vehicles. This entry was posted in ALRTA Council, ALRTA Weekly News, ATA, Federal Budget and tagged ATA, conferences, dates, General News, LRTASA, Member Issues, news. Bookmark the permalink.